I love a good mystery, especially one with unreliable narrators and lots of suspects. 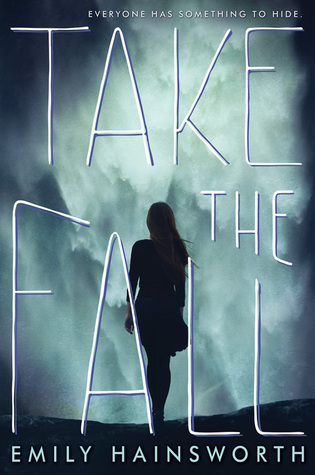 Take the Fall has those elements, but it falls short of expectations. When popular Gretchen Meyer is killed, who is to blame? Her best friend Sonia is suddenly surrounded by potential suspects. When the primary suspect, Gretchen's ex-boyfriend, approaches Sonia for help, she doesn't know who to trust. As the novel progresses, Gretchen's dark side comes out and the reader is wondering who is the true villain. I wish that this book had better writing and more fleshed out characters. I read until the end, but only to confirm my suspicions about the murderer. If you want to be shocked and thrilled, check out Dangerous Girls or Dangerous Boys by Abigail Haas. Everything in those books deliver on the promises that Emily Hainsworth tries to make here.